When I find an easy way to create something cute and useful, I can't keep myself from sharing it with others. This is the first bag that I ever made. I can't count how many times I've come across fun ideas about how to make cute bags and then discovered that they were beyond my sewing level, but these bags are right up my alley. I can finish a bag in a matter of minutes, and all I need is a yard of fabric and a pair of scissors. 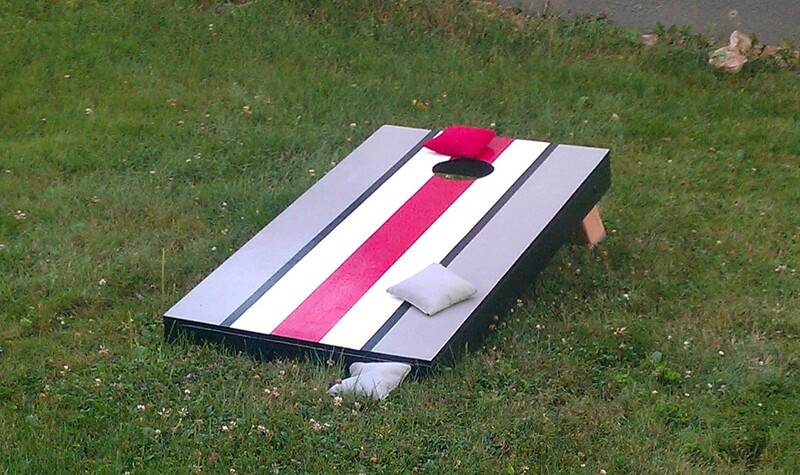 I'm not lying when I say that a child could easily complete this project on their own. I'm far from the craftiest person you're ever going to meet. In fact, growing up, whenever I'd go to craft nights with my friends at church it seemed like everybody else ended up with a beautiful finished project, and I just ended up covered in paint, hot glue, or whatever other medium we were using that evening. If I can make this bag, anybody can! 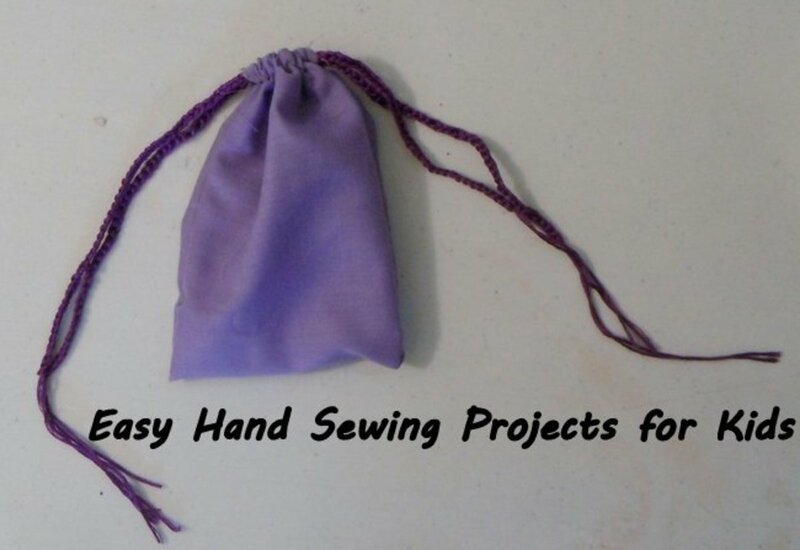 Below, you will find instructions with accompanying pictures to help you make your own bag as well as a video of me making a bag in under three minutes so that you can see how quick and simple this project really is. I'm far from the craftiest person you're ever going to meet...If I can make this bag, anybody can! Once I learned how to make these bags, they became one of my favorite gifts. I've given them to women, teenagers, little girls, and even little boys. After all. most women love bags, and what kid doesn't want a cool bag to hide their treasures in? 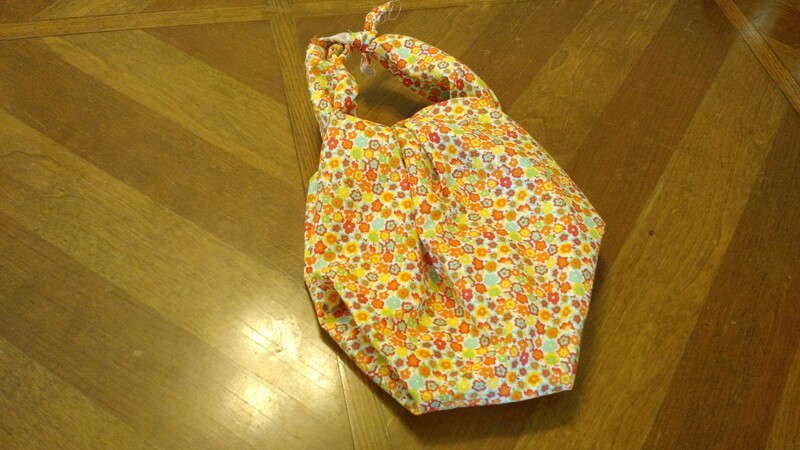 Since you get to choose the fabric you make the bag out of, you can easily make a bag fit anybody's personality. I've given these bags away filled with beauty products, chocolate, and a variety of other items. Just think about what the person your giving the bag to enjoys and go from there. 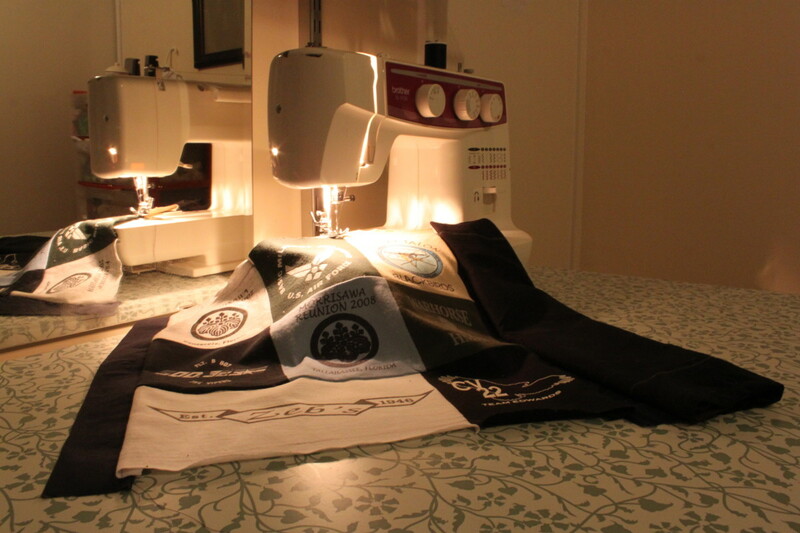 Do you ever get intimidated by DIY projects that involve sewing? Yes! I don't have the time or skill for that! Sometimes...I could do it, but it doesn't always feel worth the effort. Never! Bring on the sewing projects! 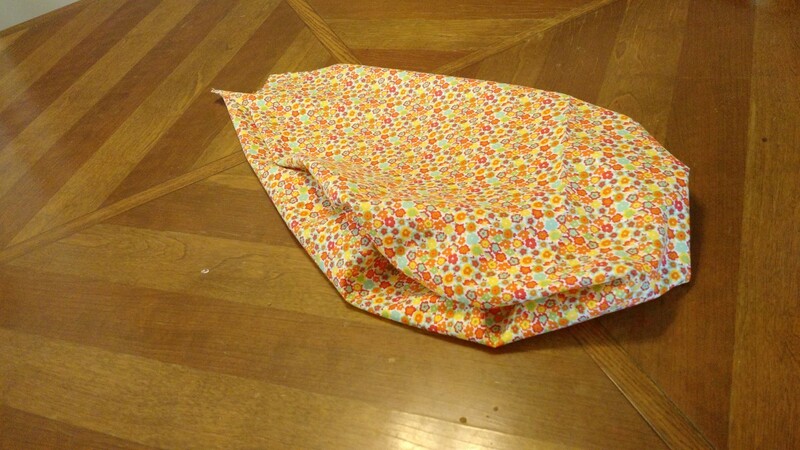 In order to make the bag, you need to make a square out of your fabric. 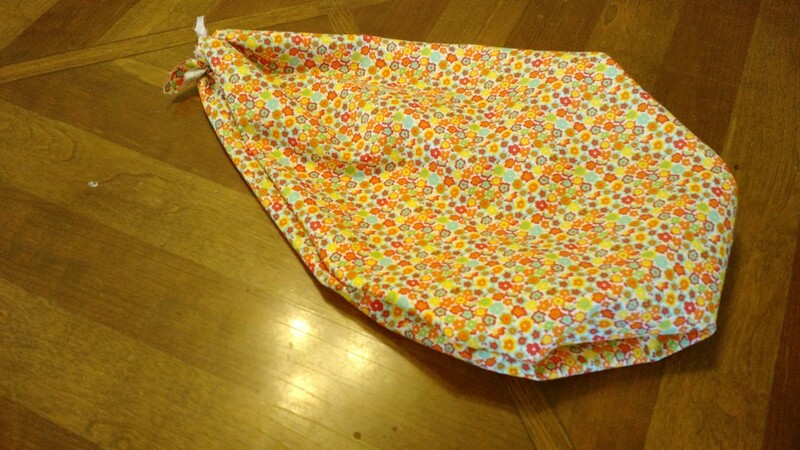 I normally start with a yard of fabric when I'm making these bags, although I have used smaller pieces of fabric when making bags for kids. To make your fabric into a square, simply pull one corner over to the other side of your fabric until it is flesh with the edge. (Just like you do with your paper when you're making a square to start an origami project). 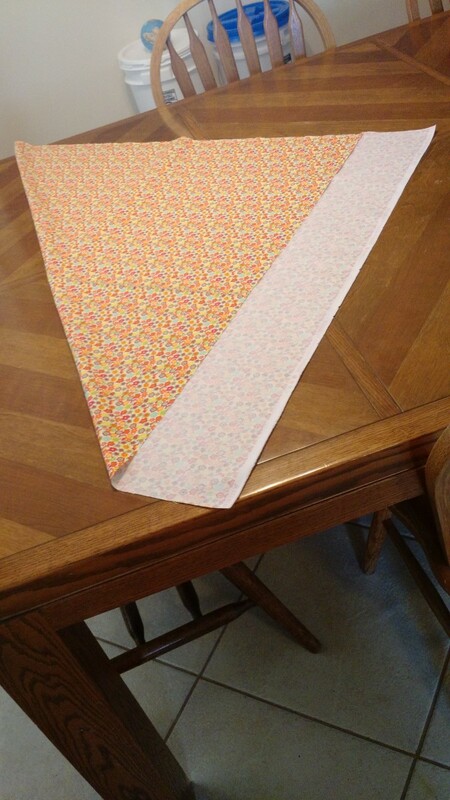 It should end up looking like a triangle that has an excess rectangular strip of fabric hanging off one side (See the picture above if my instructions are confusing). 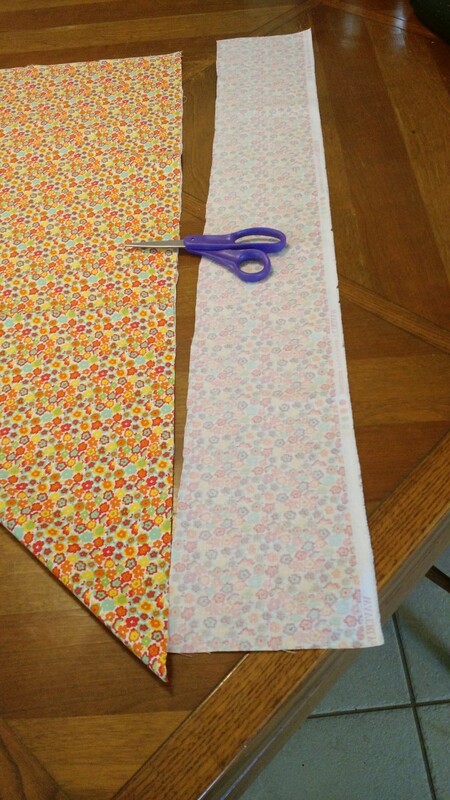 Cut off that excess strip of fabric and you should be left with a triangle that when unfolded will be a nice square of fabric. Don't worry if it's not completely perfect. Once the bag is done, nobody will be able to tell if your cutting job was off a little bit. 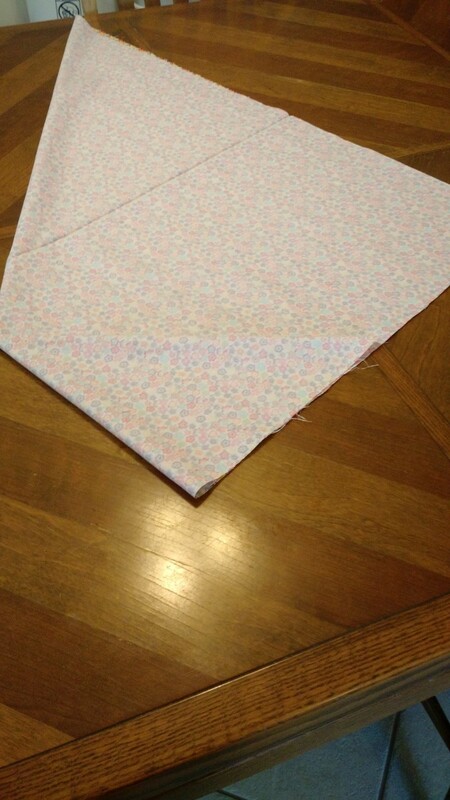 Turn the fabric inside out so that the pattern is on the inside of the triangle. In order for the end product to turn out the way you want it to, you want to have the outside of the fabric facing out for the next few steps. 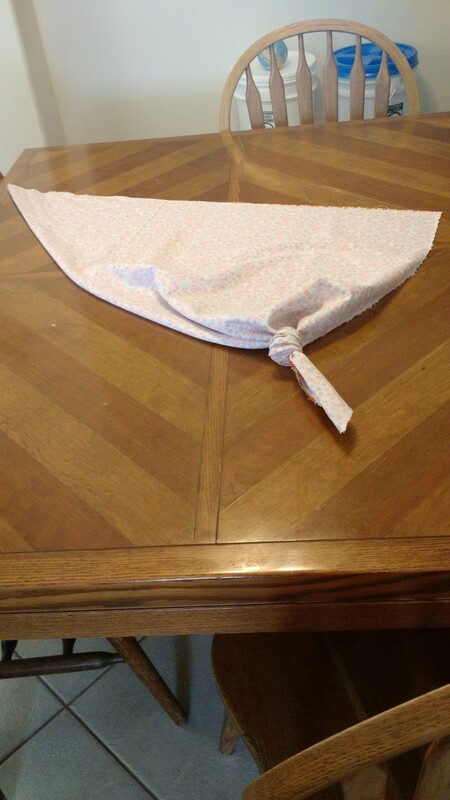 Fold the corner of the fabric about half way to the top and then tie a knot. Then repeat on the other side. You can look at the pictures above for a reference if these instructions are confusing. 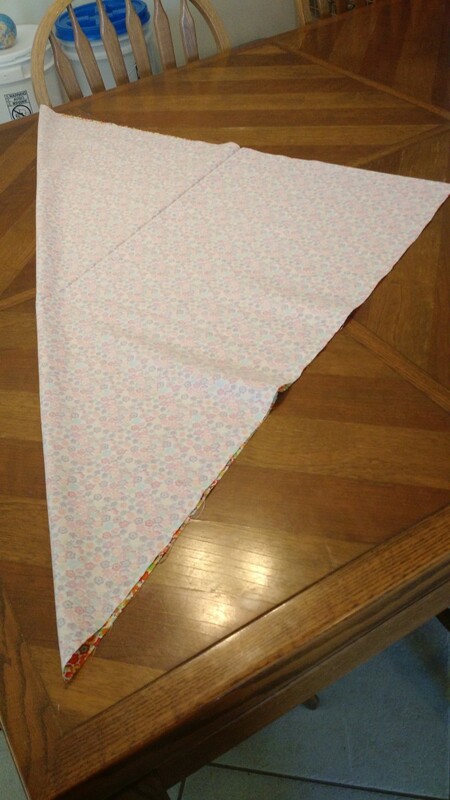 Basically, you're going to take one corner of the fabric and fold it up about half way to the top of your triangle (The higher up you go, the bigger the bag will be, but keep in mind that a bigger bag results in a shorter handle). 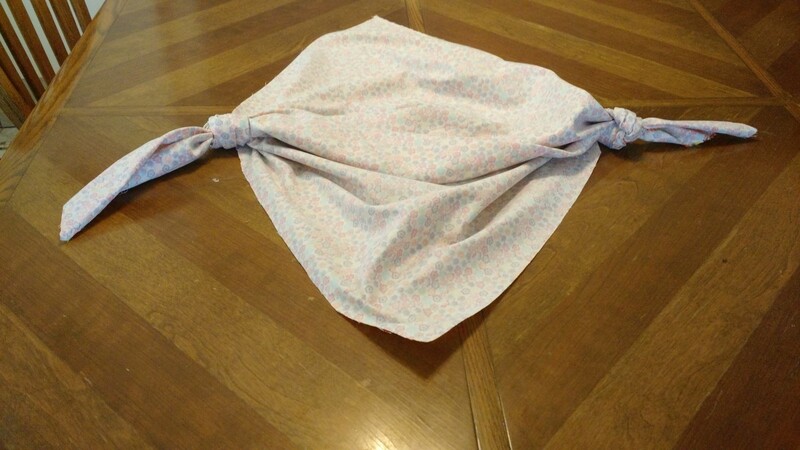 Then tie the fabric in a knot down where your fold was. Repeat these same instructions on the other side of the triangle so that your fabric looks like the picture above. Don't worry about trying to make it perfect. It's fairly easy to undo a knot if you aren't happy with the finished product, so just give it a shot and then try again if you aren't satisfied when you're done. Pull out the fabric to make a diamond shape and then put the two knots inside the diamond. I think this step is pretty self explanatory, but basically you need to pull the two loose ends of the triangle away from each other to make the fabric into a diamond shape. You want to make sure that the back of the fabric is still facing up. Then put the two knotted corners inside the diamond as shown in the picture above. 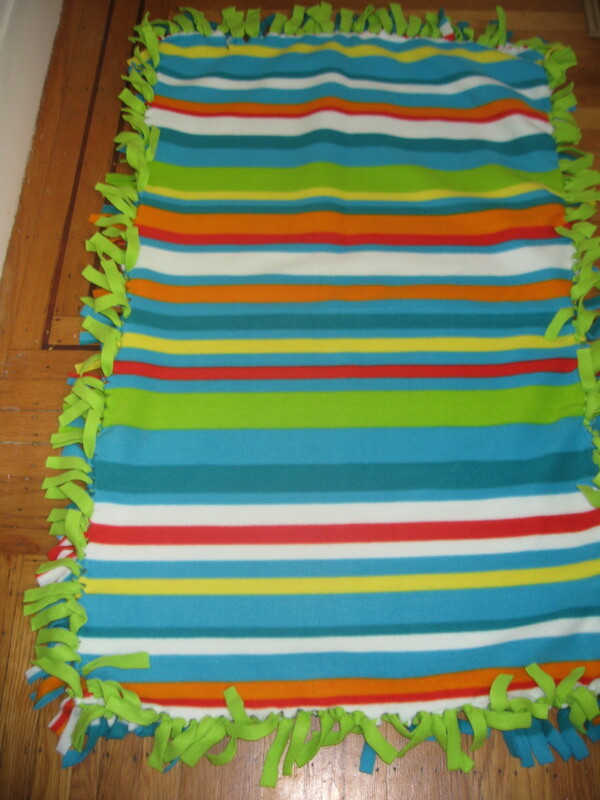 Flip the fabric over so that the pattern is facing out and the knots are on the inside. Next, simply pick up the two loose corners of the fabric, bringing them together to form a point (this time with the pattern facing out). 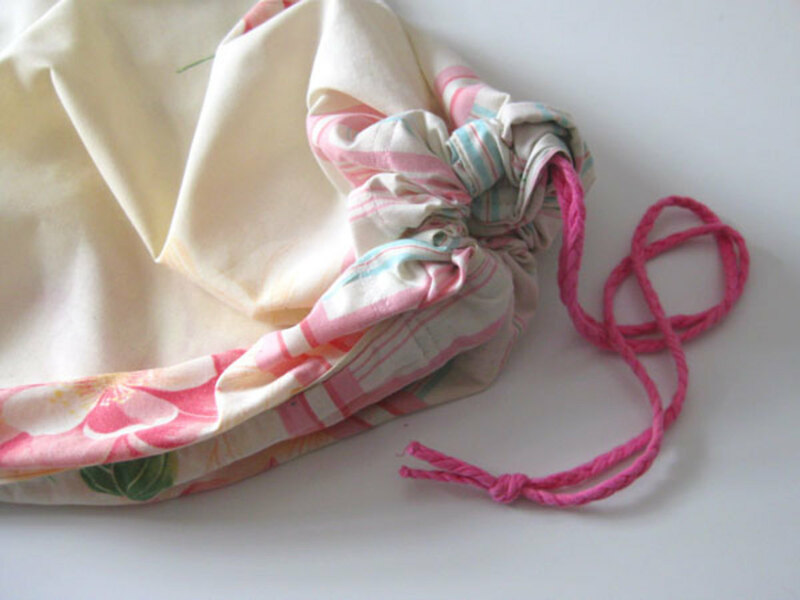 Once you have done this the bag will begin to take shape, but you will want to hold the two corners together at the top and shake out the fabric so that the bag can completely take its form. 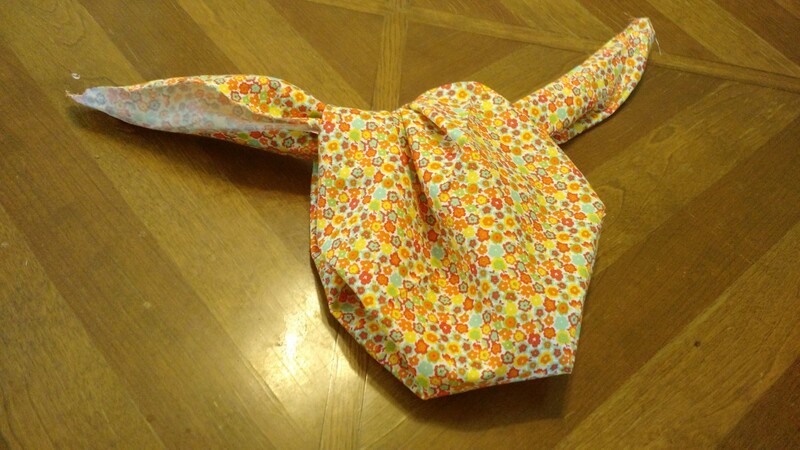 Option One for Finishing the Bag: Tie the two loose corners at the top in a knot and then tie one more knot. 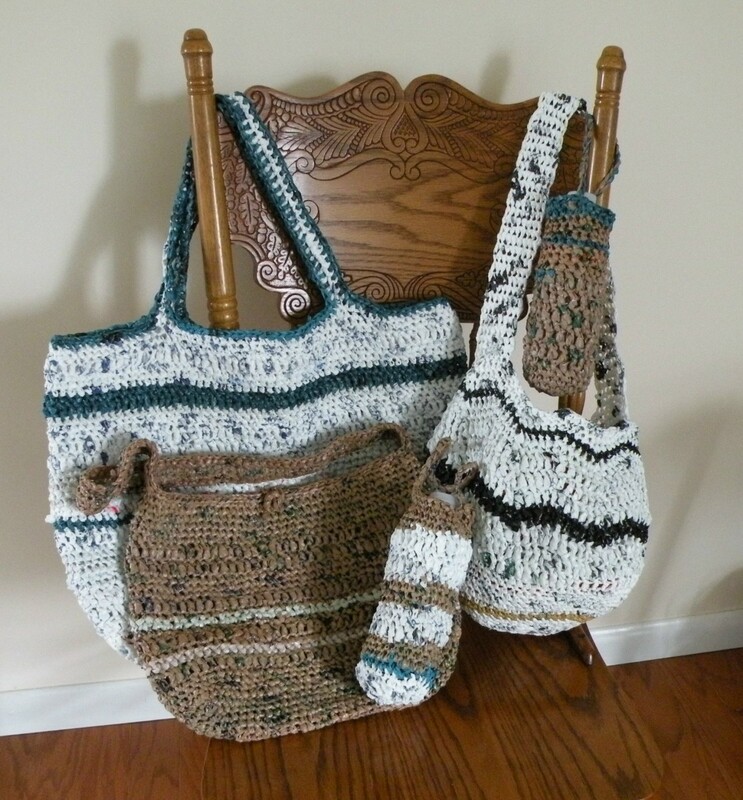 There are two different ways that you can finish your bag. The first one is shown in the picture above and the second one is shown in the picture below. Choose which option you want and then follow the corresponding directions below, or try out both options and see which one you like better. 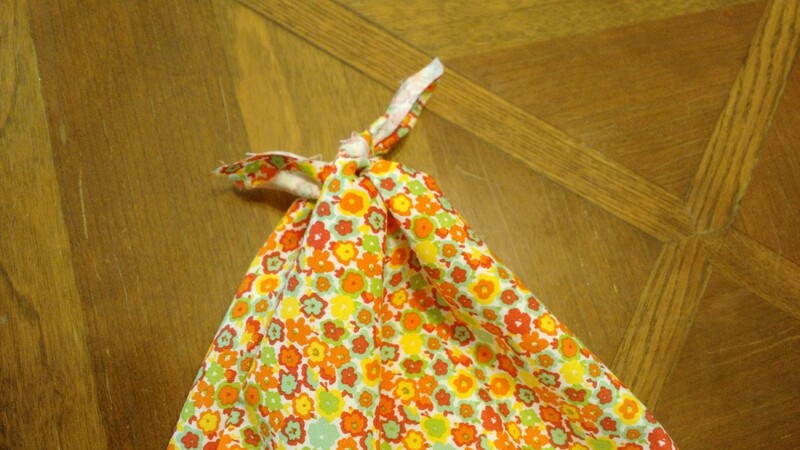 Now that you know how easy these bags are, take some time to have fun experimenting and make some bags of your own. If you're still a little confused about how these bags come together, check out the video below where I demonstrate how fast and easy it is to make these cute bags. 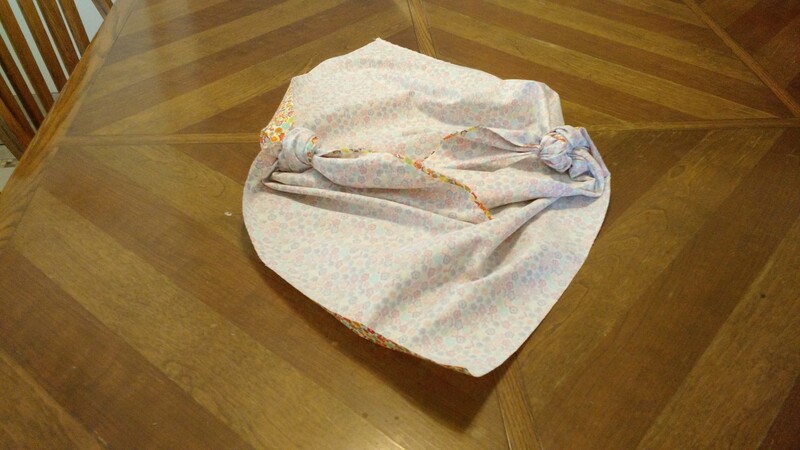 Watch me make one of these bags in under three minutes. You can do it too! This sounds like an amazing idea and easy to do as well. Thanks for sharing the details with helpful instructions and pictures. Clever! Thanks for sharing, and congratulations for HOTD! Becca, I love this idea of yours. I would love to give this a try to have a back-up pocketbook or purse. 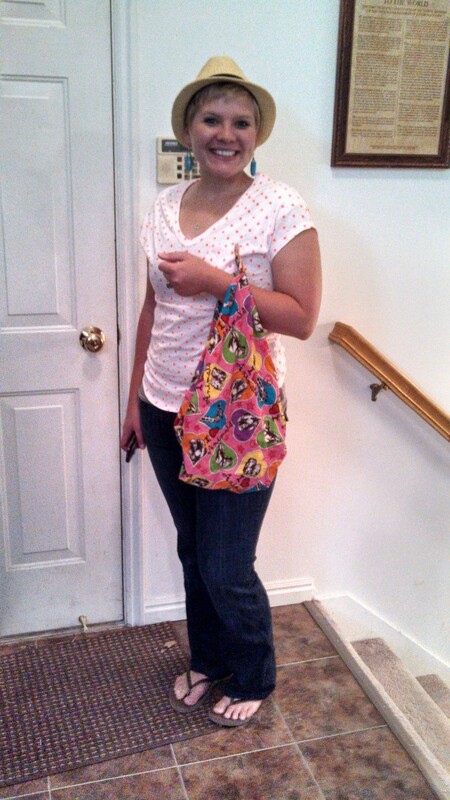 I think it was pretty much ingenious to use fabric and create a super cute bag. Congrats on HOTD! Looks like a very cute idea. May try one for the upcoming holidays. It is really easy. You should try it out. It really looks very nice and easy to prepare. Smart idea with no stitch at all. Very clever project. 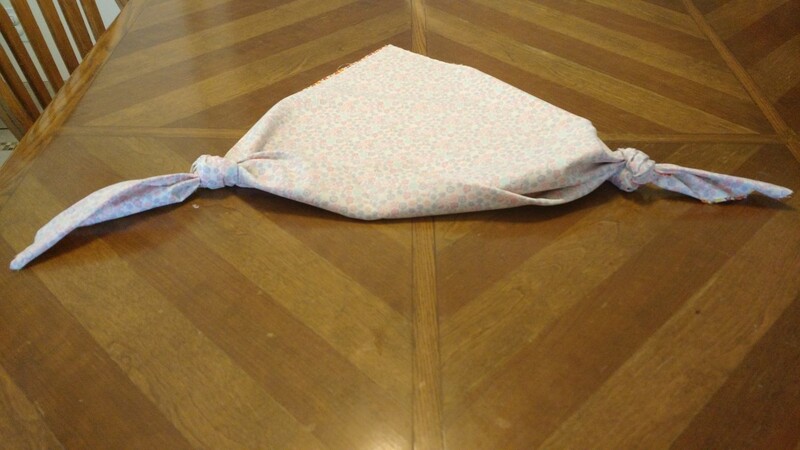 I love the idea of making one to use as a gift bag. Thanks for the video too. Interesting. The title made me wonder. Looks like a cool idea. Your vision is bigger than mine. I hadn't thought about selling them. That's really cute. 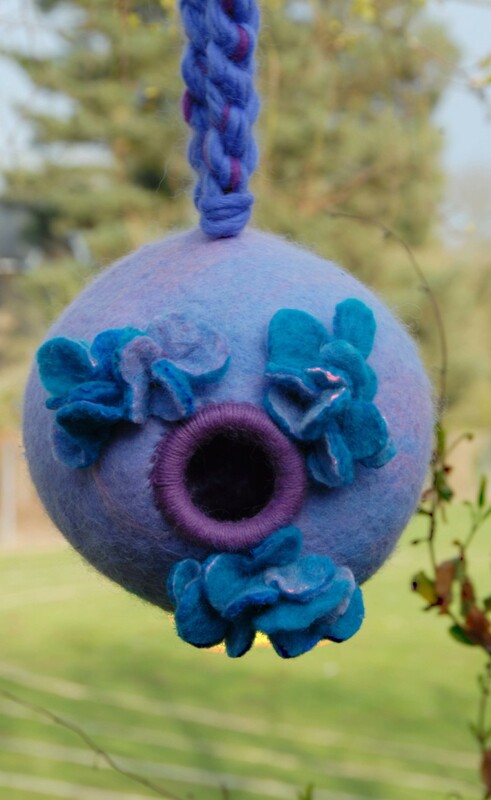 Did you ever think of making a lot of them and selling them at a fair or a flea market? Think of all the possibilities for holidays too. Definitely give it a shot. It's just as easy as it looks. Very cute and looks so eay to do. I love DIY so I will be trying this. I like your idea of giving it filled with something as a gift. I wish I could take the credit for the idea, but it's something I learned how to do quite a while ago. It actually comes from Japan. 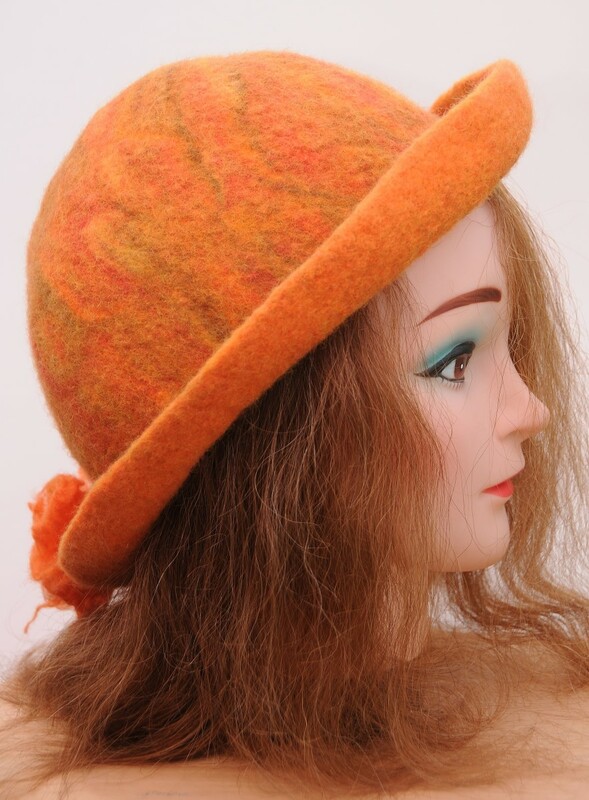 It's sad, but I've gotten so lazy when it comes to sewing that I'll almost always buy something new rather than mend something I've had around for a while unless it's something I'm really in love with.